This five-part case report webinar series dissects the essential sections of a case report and demystifies the writing process, making it easy for you to write your own case report! 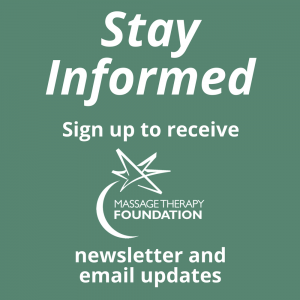 Join the Massage Therapy Foundation (MTF) for a new, complimentary webinar series in collaboration with Associated Bodywork & Massage Professionals (ABMP). If you miss the webinar live do not fret! The recordings will be available within a week after each one takes place. Check back here for the links to the recordings. Each year, the MTF offers two Case Report Contests, one for students and one for practitioners. Once the winners of each contest go on to have their case report published in a scientific journal they will receive a cash prize. 1. Writing a Case Report: Where do you start? Watch the recording of “Writing a Case Report: Where do you start? A case report is a description of a client seen in clinical practice which is written in a scientific manner. Case reports may be the only evidence published on massage therapy for a given condition, and may be the “springboard” for researchers to develop larger studies. In this introductory webinar, you will learn how to decide which case might be worth documenting. You will also learn about the different sections of the case report and how to choose the journal to which you will submit your report. Jerrilyn Cambron, LMT, DC, MPH, PhD, is a professor in the department of research at the National University Health Sciences, where her focus in on complementary and alternative medicine research (CAM) and evidence-based practice. She has been involved in CAM research since 1988, has published extensively in scientific literature, and teaches courses on research design, evidence-based practice, research literacy, and epidemiology. Jerrilyn is currently President of the Massage Therapy Foundation. She has taught “How to Write Case Reports” for many years, and has worked with numerous health-care professionals to get their case reports published. This webinar will delve into some strategies for writing the introduction and discussion sections of a good case report, with special emphasis on using other scientists’ work to help inform and advance your own project. While acknowledging that writing a case report is an ambitious project, this webinar helps break the “elephant” into bite-size pieces. Listeners interested in doing a case report will come out of this hour with step-by-step suggestions for how to go about the important task of writing outstanding introduction and discussion sections. Ruth Werner is a retired massage therapist, writer, and educator with a passionate interest in massage research and the role of bodywork for people who struggle with health issues. 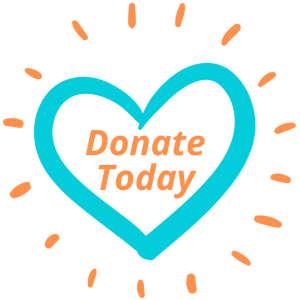 She has been on the Case Report Contest Review Committee for the Massage Therapy Foundation since 2007, and she is a past president of the Foundation. This webinar focuses on how to write the methods and results section of the case report. This includes describing the client, the specific intervention (massage technique), assessments used, and the results of the treatment. In addition, advice on how to determine the best measurements to use and how to appropriately present the results will be given. Karen Boulanger has a PhD in community and behavioral health and has been a nationally certified massage therapist since 1999. Her career has included massage therapy, education, and research. In addition to her office in San Jose, California, Karen provides care to patients at Packard Children’s Hospital at Stanford. Research posters are a visual snapshot of information contained in research articles and case reports. They are a great way to communicate the effects of massage therapy in a variety of settings such as your office, a health fair, or even a research conference. In this webinar, participants will learn how to design and create a research poster, building on concepts discussed in the previous “Writing a Case Report” webinars. Different uses of research posters will also be discussed. Kim Goral Stevenson, MS, LMT, NCTMB, has been practicing massage since 2006. In addition to her passion for massage, Kim also has a love for science and research and works in the Clinical and Translational Science Institute at Boston University as an evaluation research analyst. Kim has worked on a number of research and evaluation projects and her primary research interest related to massage therapy is its effect on psychological disorders such as anxiety and depression. This webinar will be presented by Rosemary Chunco, a Massage Therapy Foundation Case Report Contest gold award winner. She will discuss the challenges encountered in writing a case report and will also give some tips and encouraging reasons why students and practitioners should consider writing a report. She will also provide personal insights on how going through the experience positively changed her outlook on her work. Rosemary Chunco has been operating her own massage therapy practice in Plano, Texas, since 2003. She previously worked as a software engineer for more than a decade, but following some serious back issues, and being on the receiving end of massage, she changed careers and now enjoys debugging muscular issues! She was the gold award winner in the Practitioner Case Report Contest in 2010 and continues to use massage research to aid with informed, therapeutic decision making in her practice.